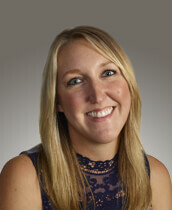 Jessica Keck, a native Tennessean, is new to residential property management. Jessica transferred to UDC from our Universal Company affiliate, Universal Wine & Spirits (UWS) in February of 2017 where she was the Store Manager at their Beverage Warehouse location for six years. Before working with UWS, she attended ETSU and graduated in 2011 with a psychology degree. Jessica brings a wealth of customer service and managerial experience to the team. She originally started with UDC as an Assistant Property Manager at The Villas at Boone Ridge and in 2019 she was promoted to Property Manager. In her new role, she manages the daily operations of Pickens Bridge Village and Cherry Grove Condominiums.